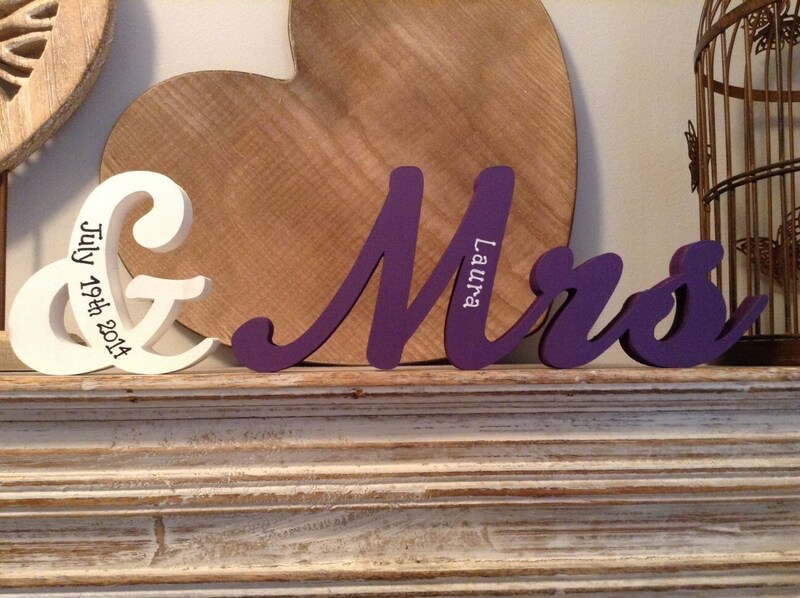 Hand painted decorative letters depicting the words 'Mr & Mrs' ~ in our wonderful new font! 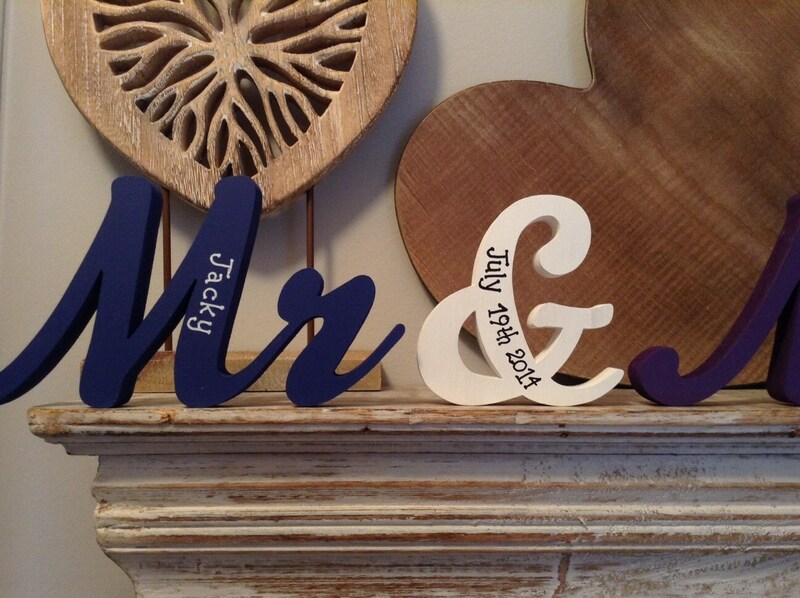 These can be personalised with your names and date of your wedding, or maybe anniversary. 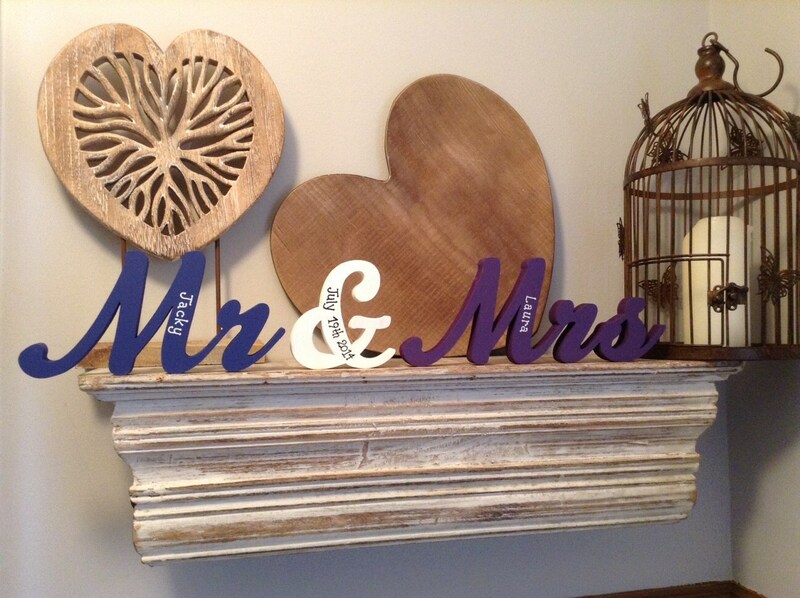 Can be painted any colour to match your big day. 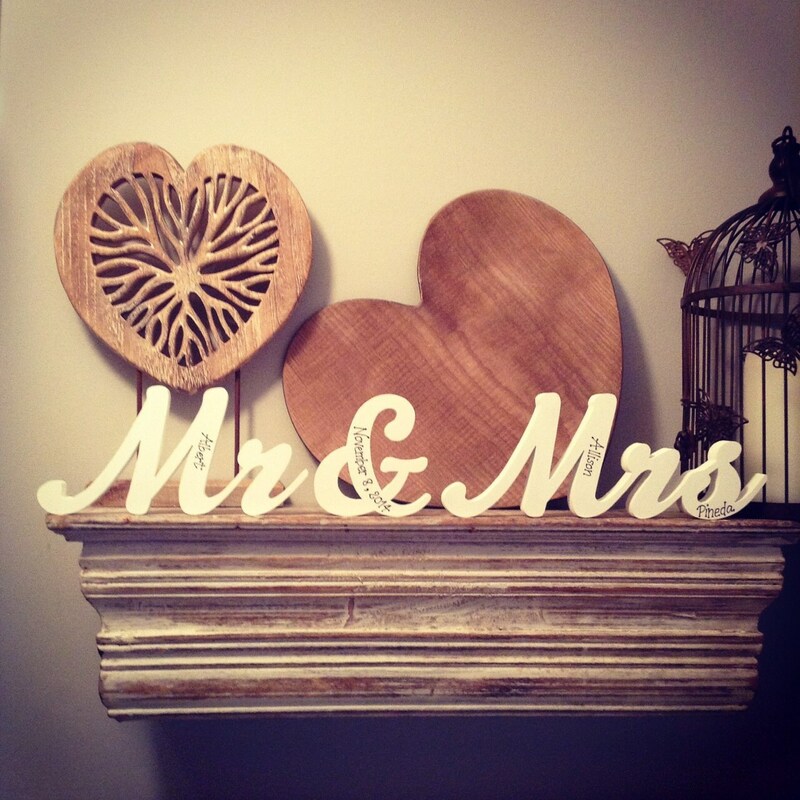 They make a beautiful addition to your wedding table, and can be used afterwards to decorate your home. They also make an excellent wedding or engagement present! These letters are approximately 10cms high. 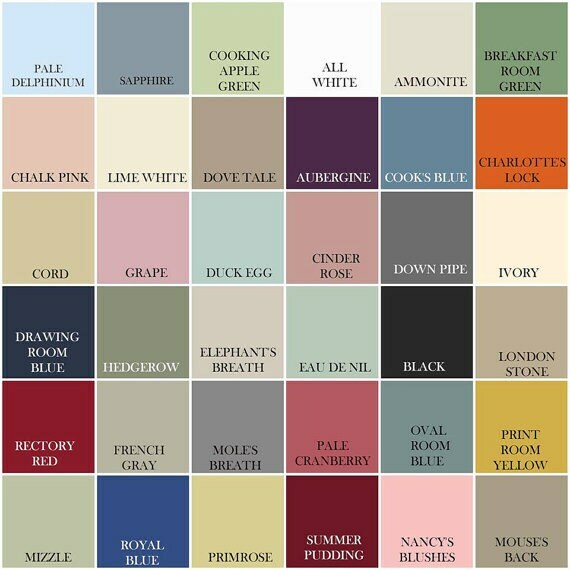 I work with a full range of Laura Ashley and Farrow & Ball paints, but will paint in other brands if there is a particular colour your require. All items are made to order, so please contact me if there is a date you need your item by and I will do my best to work with you!